You’re granted with full administrator access. Full admin access allowed you to install applications, configure firewall, security settings or user rights customization. 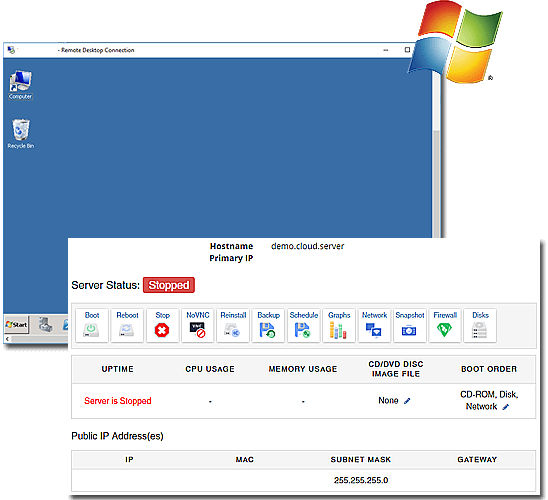 Each Windows VPS plans come with single user license, allow you to connect to your server with remote desktop connection. Access from anywhere at anytime. Easy to use server control panel. Boot, reboot or stop your server right from the client portal. Diagnose your server via noVNC at anytime when you experiencing technical issue.